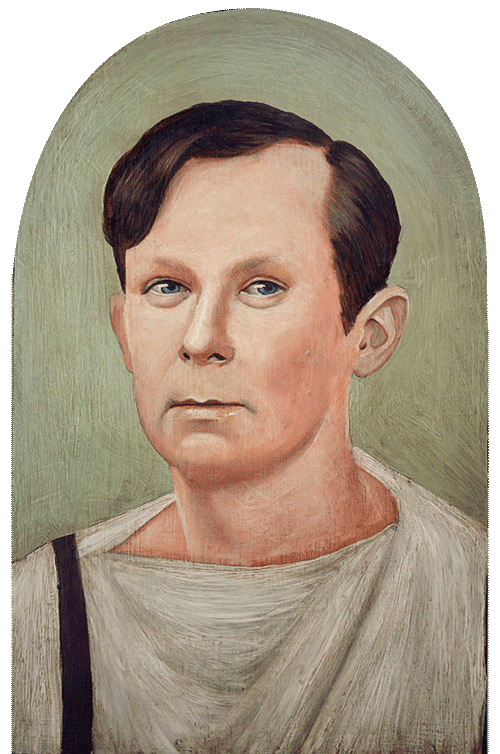 Portrait of Psychiatrist and author of books on Oriental rugs, Dr Murray Eiland Jr. as a young man. Commissioned by his son, archaeologist, Murray Eiland III. He asked for it to be in the style of a Roman/Egyptian Fayum mummy portrait. That seemed very fitting.